10bit 4:2:2, 220mbps ProResHQ files recorded to HDD or SSD. Better quality video than the camera can record internally. Better colour. Better contrast. Huge capacity. Record for hours. Incredible time savings in post production. Choice of Avid DNxHD or ProRes Editing Codecs. You set the quality. 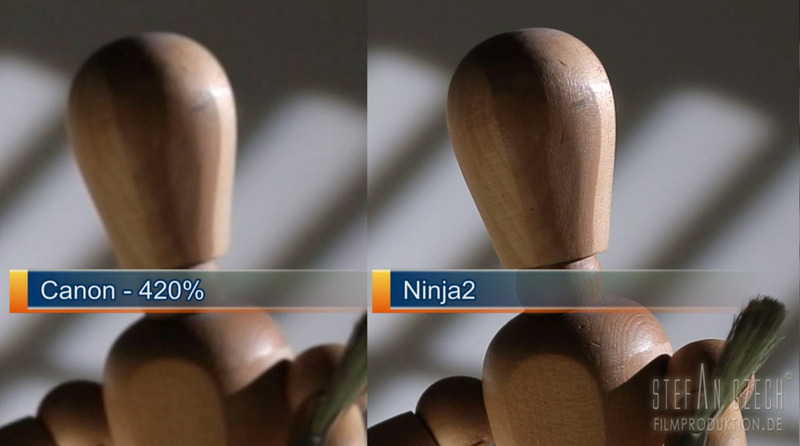 The Ninja-2 recorder is an awesome upgrade to any camera with a clean HDMI out, and keeps the Canon 5Diii top of the class. 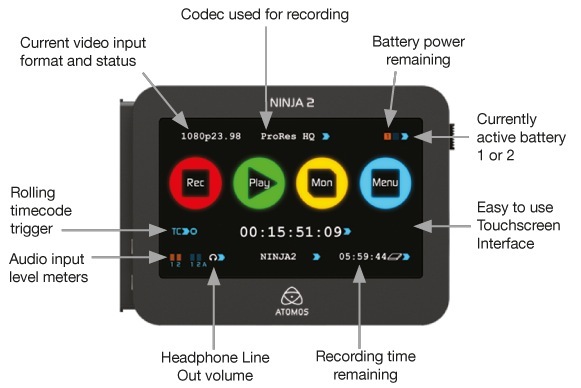 Atomos Ninja-2 recorder, flightcased, with approved Hitachi 1TB HDD, sunshield, spare drive caddy, HDMI cable, 1 regular & 2 high capacity batteries. HDMI Video In & Out. Line Level Audio In & Out. Full frame 35 is still the best choice for indie filmmakers. Over some 4 years the 5Dii completely revolutionised the shooting of low budget cinema. How? In short, it’s the sensor. The ‘full frame’ stills sensor is a whopping 36x24mm – that’s as big as 65mm VistaVision, and twice the area of Super35 film or the Alexa / Red MX. Result? 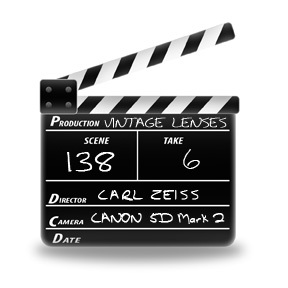 Lenses are effectively ‘wider’ meaning you’ll need a more telephoto lens, or you’ll need to get closer to the subject, to achieve the same framing as those 2 ‘vertical 35mm’ movie formats. Comparitively shallow depth of field is therefore inherent. To achieve the same depth as a 5D on a smaller format sensor would require incredibly fast, incredibly expensive lenses, with apertures around f1.0 to f1.2 – beyond the reach of most productions. Add to that superb low light performance, allowing natural light shooting in previously impossible conditions, and you can see how this mid budget camera changed indie production radically. 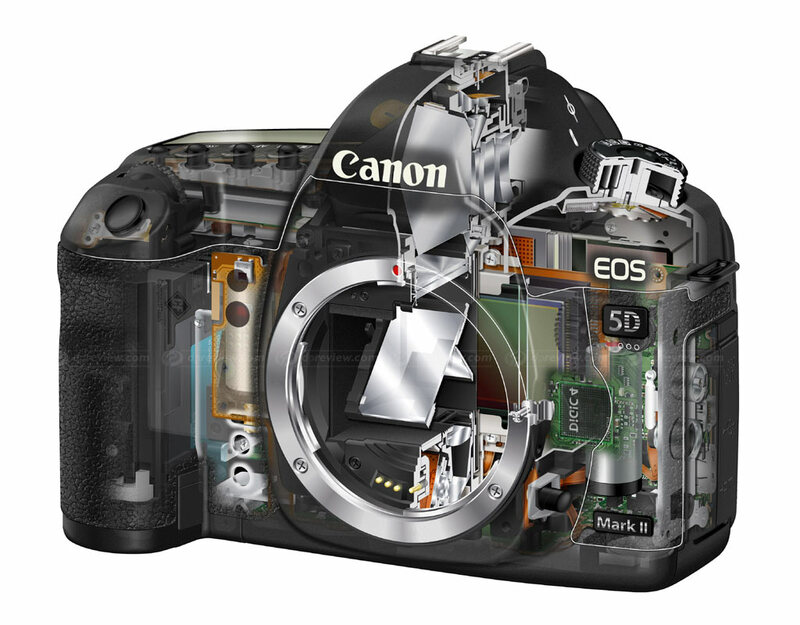 Our new 5D mark3 has several improvements on the original. Better screen, better processor, better lowlight performance, better autofocus, the ability to shoot 14bit RAW video with Magic Lantern, or use our Atomos Ninja-2 to record 10 hours of pristine 10bit 192Mbs ProRes HQ file onto regular disk drive, with timecode, straight off the sensor and down an HDMI cable, avoiding all that lossy H.264 compression and lengthy transcoding process. Groovy. Canon 5D mark3 camera body with 24-105mm f4.0 USM IS Lseries lens, 2x32gb CF cards, 1x32gb SD card, charger and 5x LP-E6 rechargeables.